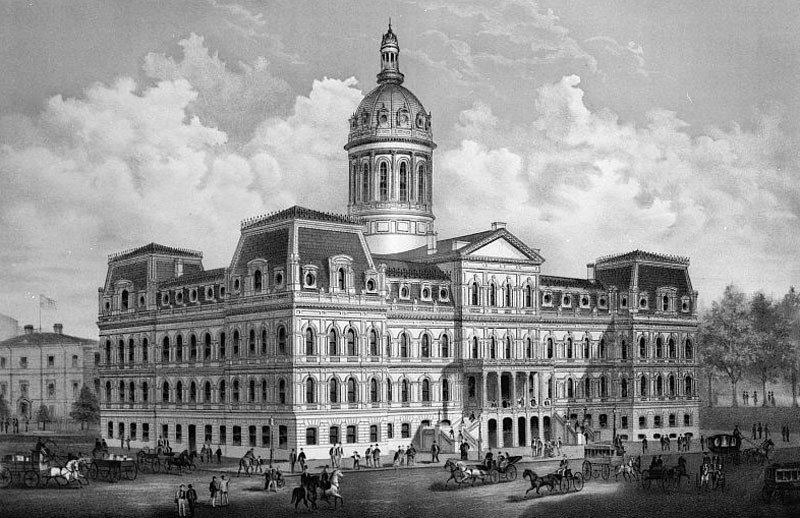 Although it imitates the arrangement of the U.S. Capitol with a central dome and symmetrical wings, the Baltimore City Hall is covered in French architectural elements, including banded rustication, arched windows, and a crowning Mansard roof. How did this come about? 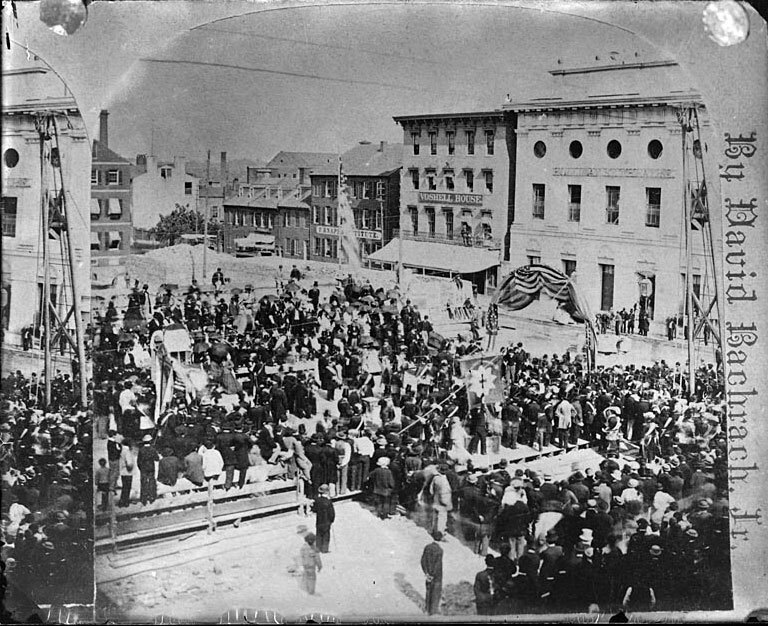 Between 1861 and 1865, the U.S. Civil War stopped most building projects. By the time the war ended, tastes had changed. Although the Italianate style remained popular (especially in conservative Baltimore), the antebellum Greek and Gothic Revival styles faded away. Indeed, this whole era in American architecture bears a European name: “Victorian,” for the queen of Great Britain between 1837 and 1901. Victorian buildings showed off the new products of the industrial revolution then creating out a wealth of new building products: cheaper bricks and cut stone, encaustic tiles and terracotta, various forms of structural iron. The Victorian style from France is named for the Second Empire of the Emperor Louis-Napoleon Bonaparte, who styled himself Napoleon III. It was this Napoleon who extended the Louvre and laid out the boulevards and sewers that made Paris the most modern city in the world in the late nineteenth century. The Second Empire style became very popular for government buildings after the Civil War; it was sometimes called the “General Grant” style after the eighteenth President. 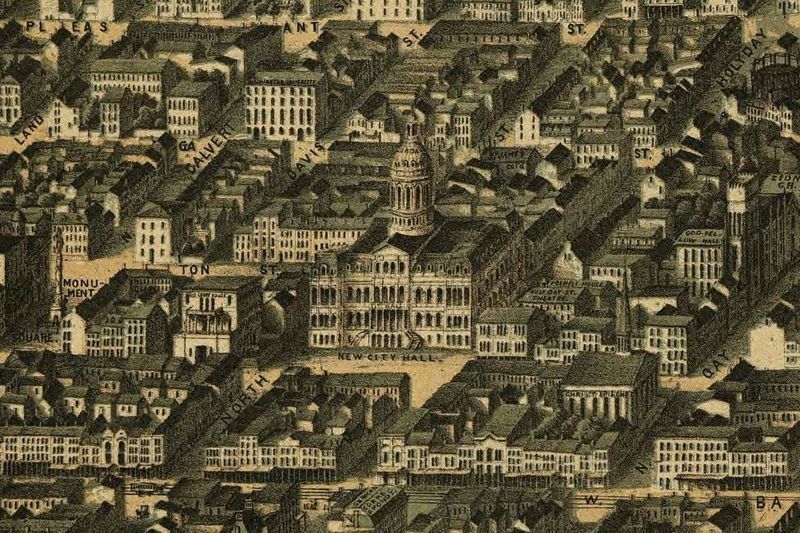 In Baltimore, George A. Frederick’s design, completed in 1875, employed a good deal of cast iron, including the 227-foot tall dome designed by Wendel Bollman and cast by Bartlett, Robbins, and Company. About seventy-five years after their construction, Victorian buildings inevitably came to be seen as downright ugly. In Baltimore, the construction of the Abel Wolman Municipal Building overshadowed City Hall, blocking any views from the north. In the 1970s, city officials seriously discussed demolishing City Hall. 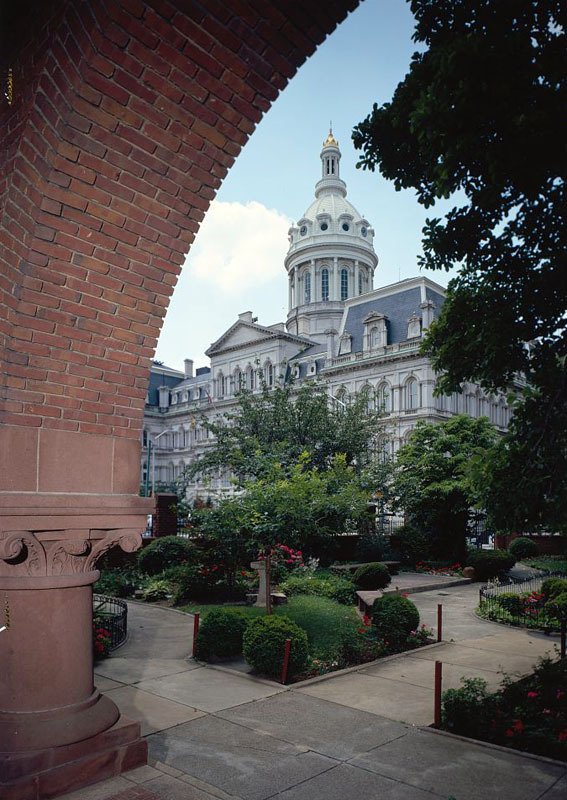 But wiser heads prevailed, and a prize-winning renovation equipped City Hall for continued use as the center of Baltimore’s government. 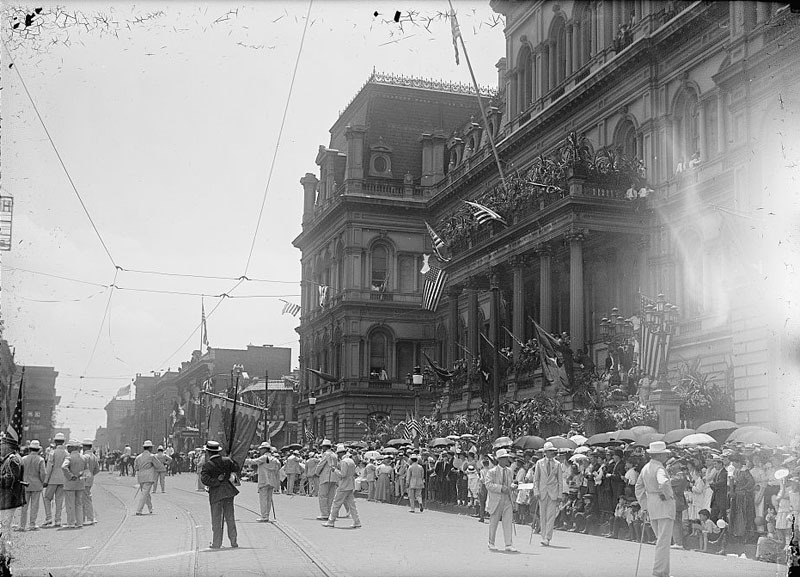 Jack Breihan, “Baltimore City Hall,” Explore Baltimore Heritage, accessed April 19, 2019, https://explore.baltimoreheritage.org/items/show/67.